After being diagnosed with hypertension, your doctor will often prescribe blood pressure medicine to control your systolic and diastolic pressure. As long as you are using it together with a healthy diet and exercise program, you can increase your chances of stopping this disease from haunting you. Here are some of the most important facts that you may want to know about blood pressure meds before adding any to your shopping cart. The act of lowering your systolic and diastolic pressure may reduce your risk of developing serious health conditions such as heart disease or stroke. If the readings of your systolic and diastolic pressure are not within the normal range, your heart will work harder than it should. 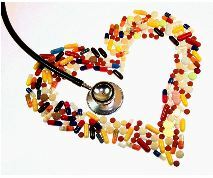 Diuretics, vasodilators, beta blockers and ACE inhibitors are only some of the common blood pressure medicines. Diuretics help your body flush out extra salt and fluid. Since sodium can make your body run on more fluids than normal, it can make it harder for your heart to pump blood into your other organs. Diuretics solve this problem by reducing your sodium levels and helping your kidneys to pump out excess fluid. As soon as the level of fluid in your body decreases, your heart will start pumping less. Among all the high blood pressure medicine, a vasodilator is the only one capable of relaxing your arteries and making them wider. This creates more room for your blood to travel throughout your body, with each pump coming from your heart. Vasodilators can also prevent atherosclerosis by widening your arteries and preventing your heart from pumping more blood than it should. Beta blockers are high blood pressure meds that work by reducing the activity of your nervous system and decreasing the nerve impulses traveling from your heart to your blood vessels. Since these nerve impulses can tell your brain to make your heart contract or beat faster, a decrease in these nerve impulses makes your heart beat slower and keeps your systolic pressure under control. Finally, there are ACE inhibitors. This medicine for high blood pressure controls the production of Angiotensin II in your body and restricts its ability to interact with your blood vessels. Angiotensin is responsible for telling your arteries to constrict, so lower amounts of it can relax your blood vessels, and restore your normal diastolic and systolic pressure. Are there any problems with taking medication? 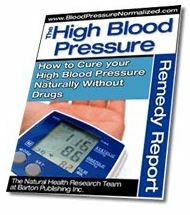 High blood pressure medicines can reduce your pressure to normal levels and keep your heart healthier than ever. However, the combination of these medications can make you experience minor side effects. Nevertheless, these side effects are just small inconveniences compared to the benefits you will get from a prescribed hypertension medicine. But if the side-effects are too much for you to bear, then you could always try a natural blood pressure supplement first, before moving onto stronger medications. 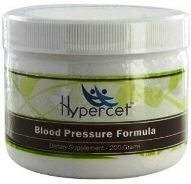 An example would be the new Hypercet Formula for blood pressure control. As long as you are taking your meds exactly as your doctor prescribed them, you will not experience other side effects that can make you think twice about continuing your treatment. And remember…blood pressure medicine works best when combined with healthy eating habits, natural remedies for high blood pressure, and regular exercise.